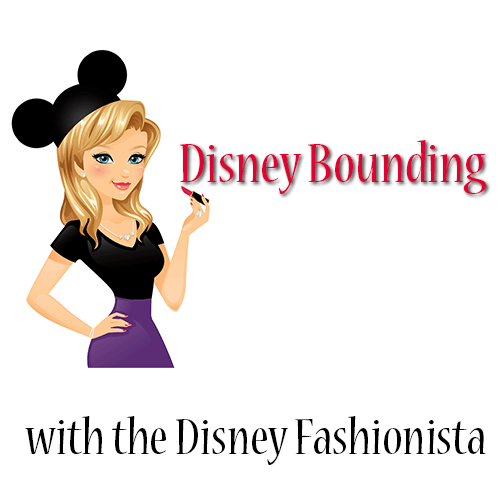 Disney Bounding: Pulling Inspiration From Cruella De Vil!! It’s another week and that means it’s time for another character in our Disney Bounding series!! I decided to release this one a day before Halloween in case anyone wanted to use some ideas for any parties they may be attending. I have, of course, stuck with the villains, as it is Halloween week, and we are going to pull inspiration from my fave villain…. Cruella De Vil! Let’s take a peak at how to Disney Bound with the incomparable Cruella de Vil! 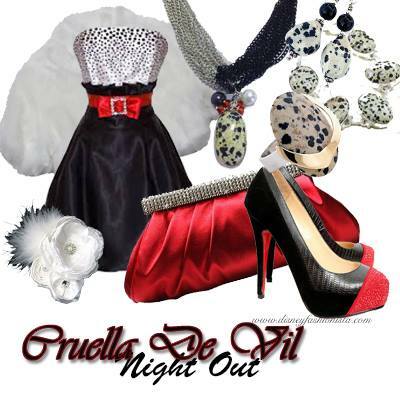 Cruella De Vil’s colors are primarily Black, White and Red. Similar to last week’s character, Queen of Hearts, but with a tiny, significant difference. You can’t achieve that Dalmatian print look without white! So, in this week’s look, we change out gold for white. We are taking a night out approach to Cruella’s look this week and I must say, I would rock this look. This dress embodies everything Cruella stands for… style, flare and Dalmatian print! With a faux fur shrug to keep warm and fabulous red and black Christian Louboutin shoes, who wouldn’t stop and stare at this fashionista! A fabulous flower in her hair and a satin, bejeweled clutch add a certain finesse to this look that every fashionista needs. Let’s talk jewelry. The necklace in this look is a statement piece in my opinion. The chainlike necklace is in two colors, silver and black, to simulate the color scheme Cruella has going for her. There is a black and white pearl on either side of the pendant and several red Swarovski crystals to add a bit of color and sparkle. The pendant is an authentic Dalmatian Jasper. We found earrings and a ring to match perfectly with the necklace. This necklace is another fabulous original from Beautiful Baubles. Remember that if you are interested in purchasing this necklace the owner of Beautiful Baubles has graciously offered a 5% discount to those who use the discount code DisFashion5. Visit the Beautiful Baubles Etsy store to take advantage of this offer. It’s time to think about makeup. Katelynn Rose has created an amazing, easy to achieve look. 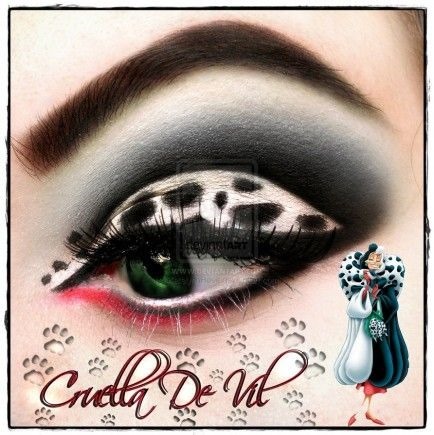 Many of you know that Cruella De Vil tends to wear green eye shadow. We are mixing it up with less of a copycat look and more of an interpretive design. This look is a little more theatrical but it’s Halloween! It would work very well for a party or if you just like to get people’s attention. You could definitely tone this look down, as you could with previous looks, but I like to be adventurous. Here are the instructions to achieve this look. 1. Apply the white pencil all over the lid. 2. Apply a matte white shadow all over the pencil. 3. Create the cut-crease using a small brush and blend it out. 4. Smoke out the black with a silver shadow and then highlight under the brow with the same white shadow. That’s another week completed here at Disney Bounding with the Disney Fashionista, Next week we will be moving away from the villains and on to some classical favorites. What do you think of today’s look? I’d love to hear your thoughts. Let me know what you think in the comment section below. Pandora Disney Charms Available Monday- Preorder yours!